On your arrival at the Kochi Airport/ Ernakulam Railway Station, enjoy being greeted by an agent’s representative. 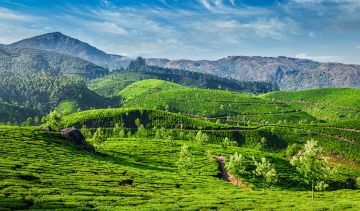 From here, you will be taken to Munnar to begin your trip amidst the hillscapes. 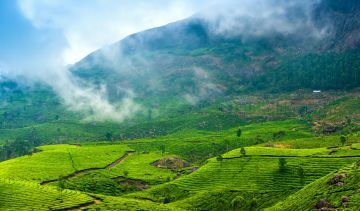 The scenery glams up your journey from Kochi to Munnar. 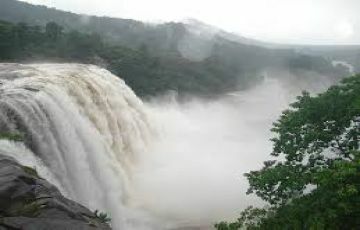 The aroma of spice plantations and symphony of Valara and Cheeyappara waterfalls will add a magical touch to your first trip of togetherness. 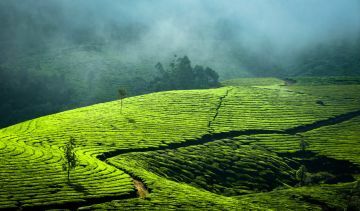 Once you reach Munnar, the pleasant weather, tea plantations, streams, and waterfalls will extend you a hearty welcome. Now, complete the check-in formalities at the hotel, and relax. 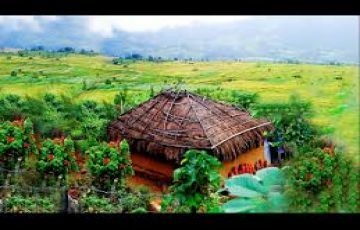 Rest of the day is at leisure as per this Munnar, Thekkady, Alleppey honeymoon package. Delight in this time as your heart desires. 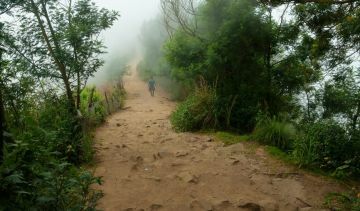 You can explore the surroundings holding hands and enjoy the serene solitude. When the sun sets, come back to the hotel for a restful night. Enjoy a scrumptious breakfast together and be prepared to discover the masterpieces with which nature has blessed this quaint hill town. 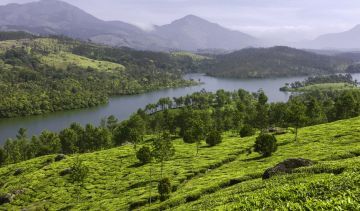 The sightseeing spree takes you to the most sought after attractions of Munnar such as Mattupetty Dam and Lake. 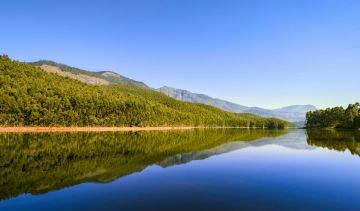 The tea garden around mirrors in the crystal clear still water of this dam, enhancing the charm of your visit. 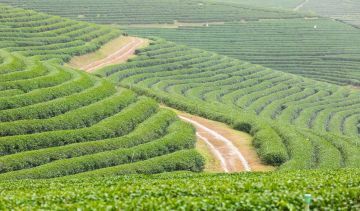 Photo Point is another attraction where woods, thick tea plantations, rolling hills, and gurgling rivulets create an ideal environment for love birds, where they have numerous ‘clickable’ moments. You will also be taken to Nursery Garden, Echo Point, and Eravikulam National Park. 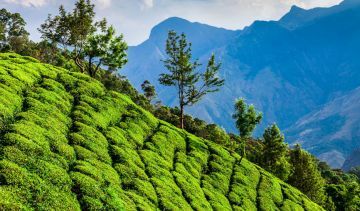 A view of the beautiful Anaimudi Peak adds to your day. 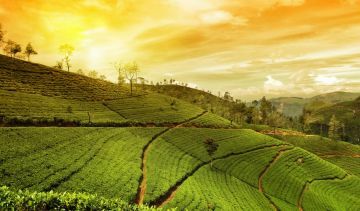 In the evening, enjoy a leisurely stroll on the spice/tea trail according to your Munnar, Alleppey honeymoon package with visits to Thekkady and Kochi. This is the best spot to delight in the beautiful sunset with the love of your life. Once you are done with sightseeing, return to the hotel for a refreshing overnight stay. 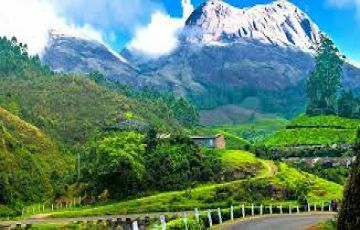 This Alleppey, Kochi, Munnar and Thekkady package for honeymoon couples takes you for an unprecedented experience. Wake up to a wholesome breakfast and check-out from the hotel. 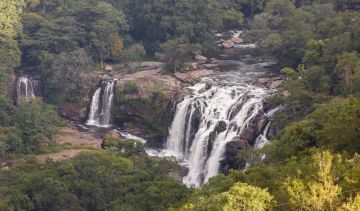 Today, you will be transferred to Thekkady, an astounding location of Periyar National Park near Idukki district. 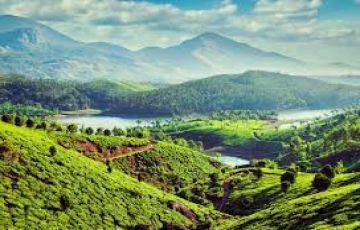 Delighting in the scenery presented by spice plantations, waterfalls, grasslands, and misty mountains, you will reach Thekkady. 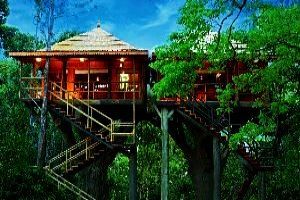 Now, check-in to the hotel and relax for some time before you will be taken to Periyar Wildlife Sanctuary. 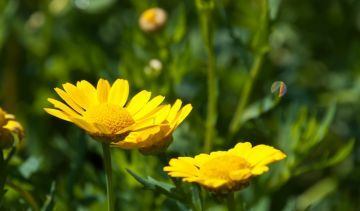 The wilderness and a rich iety of flora and fauna will manifold your honeymooning delight. Towards the evening, set off to Kumily village to visit its spice market and also buy some. 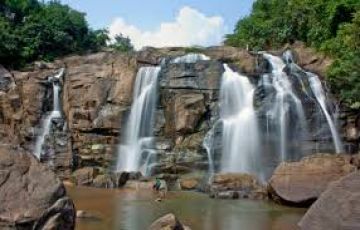 For a dose of adrenaline, go trekking in Ramakkalmedu, which is among the most beautiful hill stations of Kerala. After a pleasurable day with your sweetheart, return to the hotel and head to your room for a peaceful . Savor a healthy breakfast before checking out from the hotel. 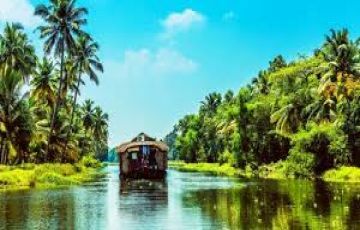 Now, you will be taken to Alleppey, which is among the dreamiest destinations of Kerala. The charismatic surroundings will leave you awestruck. Now, check-in to the houseboat to impart a unique flavor to your honeymoon. Refresh and relish a lavish lunch onboard. 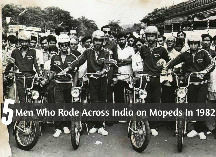 Your post lunch time will treat you to a splendid ride as you cruise along Kerala backwaters with your beloved. Later, a romantic dinner will enhance the flavor of your day on the houseboat. After adding flavors to your bond, this day will also add some restful moments to your visit as you slip into your comfy bed for the night. 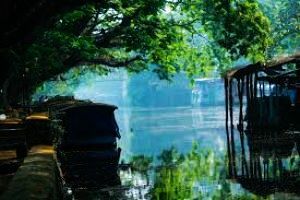 Indeed, an unforgettable Alleppey houseboat stay. 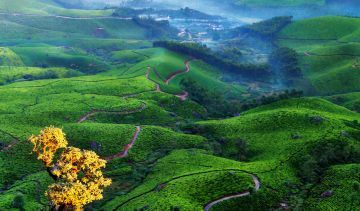 The next leg of your Alleppey, Kochi, Thekkady, Munnar itinerary for honeymoon takes you to Kochi. Arise to a lovely breakfast and disembark the houseboat as you will be transferred to Kochi today. Upon arrival in Kochi, check-in to your hotel and unwind for sometime. 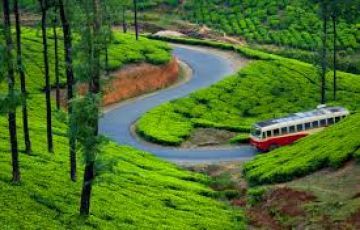 Now this Kochi tour itinerary takes you for a sightseeing spree. You will be visiting attractions such as St. Francis Church, Mattancherry Palace, the historical town of Fort Cochin, and Marine Drive. You can enjoy a leisurely stroll with your soulmate hand in hand on Marine Drive. After a happening day, come back to the hotel for a restful night. Your lovely trip concludes in Kochi today After breakfast, check-out from the hotel. Get transferred to airport/railway station to board your flight/train for a journey back home. • Check inn and Check out time depends on the concerned Hotel policy. 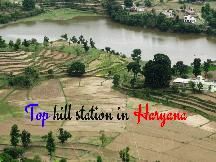 • A/C Will be switched off in Hilly Areas. • In case of any irraleted activities in Jammu & Kashmir, The Roomie is not responsible for any loss and there is no refund in that case. • In case of transporters strike cab will not go anywhere. The Roomie is not responsible for any loss and there is no refund in that case. • Cost related to Inner Line Permits for Leh Ladakh is not included in the package. • The Roomie is not responsible for any personal loss, any damage to passengers travelling, any misshaping any road accident during the tour. • Clearance of full package payment is mandatory 15 days before departure of tour, if full package payments not done in the given time frame your booking will stands cancelled & The Roomie is not liable to refund the advance booking amount paid by you to confirm the package. • All the meals mentioned in itinerary would be provided in specified hotel only where you are going to stay during the tour. 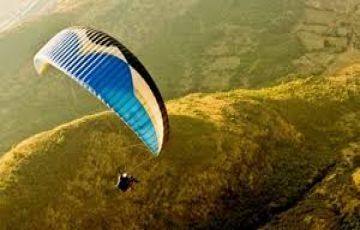 • Fees / Charges related to any tourist Permit is not included. 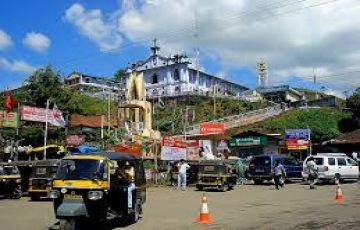 Please Note:- Disputes if any, arising out of or in connection with Terms and conditions, Stay, Food, Travel plan, inclusions, Cancellation policy, Bookings in hotel, bookings of cab, Any personal loss or misshaping during tour, Any Road accident During the Tour, Regarding Permits to rohtang, inner line permit for leh and any entry restricted by government for some specific days or months to National parks any state or borders or places closed due to some irrelated activities, Regarding payments and refunds, any loss due to nature/weather conditions or above package offered by The Roomie or as a result of above offers or otherwise relating hereto shall be subject to the exclusive jurisdiction of the competent courts / tribunals in Ambala only, irrespective of whether courts / tribunals in other areas have concurrent or similar jurisdiction.